Fitted a new gas built in oven after moving pipework. "Colin from Kingfisher was absolutely great. I contacted the Company on behalf of my 74 year old mum. Colin phoned me before he attended to say what time he would arrive and confirmed what he was wearing for the purposes of ID. He spent a lot more time with my mum explaining things than he charged for and was so helpful, a real star." Very professional and helpful. 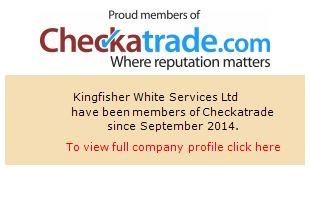 Kingfisher were very responsive and friendly, highly recommended!